I became interested in quilts while working as an editor for McCall's Needlework and Crafts Magazine in New York City, but did not try quilt making right away. I had a feeling that once I started quilting, I would never want to do any other type of needlework again. I was right. My years of training as an editor enabled me to teach others to quilt through reading my books and magazine articles. My aim is to teach a technique by breaking it down into step-by-step instructions that anyone can follow. My book, The Complete Book of Patchwork, Quilting and Appliqué attempts to do this. The Ultimate Guide to Art Quilting is another step-by-step guide that has been published by Sixth&Spring in New York. Although the title refers to art quilting, the book is actually a guide to all the techniques that have developed in the quilt world since my basic book was published over 25 years ago. 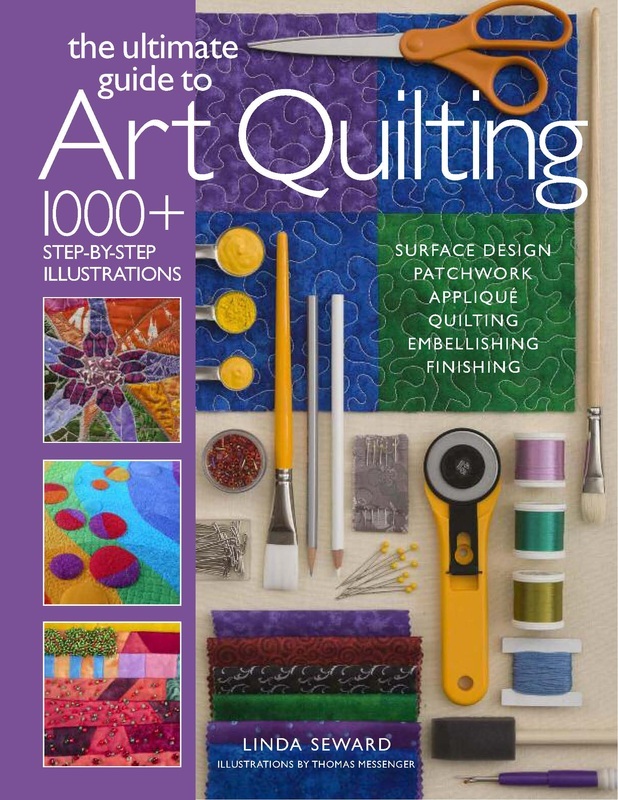 So in addition to a look at surface design, it also contains an in-depth guide on how to use a rotary cutter, quick patchwork methods, the use of Bond-a-web for applique and a complete guide to machine quilting. So it's useful for all quilters, not just those interested in art quilts. See the "Latest Book" section on this website for more information. The cover can be seen on the right. I find quilts fascinating because they express something about the people who made them. Undocumented antique quilts are mysterious—we will never know who made most of them but we can admire them just the same. 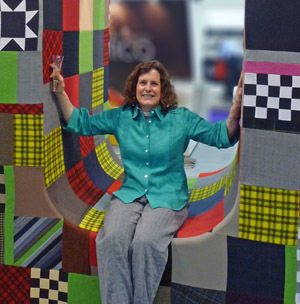 The making of art quilts is opening up a whole new world for quilters who would never have thought of themselves as artists, but who are today creating textile masterpieces. My new book will introduce quilters to all the techniques that art quilters are employing. I had so much fun over the three years it took to write it, clarifying just what those techniques are and and how to do them easily. I will never cease to be captivated by quilts, and I am happy to be able to spend my time doing something I enjoy so much.